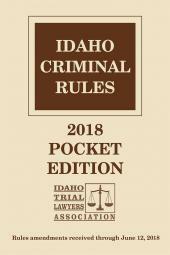 The Idaho Criminal Rules, Misdemeanor Criminal Rules, Infraction Rules, Juvenile Rules, and the Rules of Evidence with an Index comes in a convenient pocket-size format. 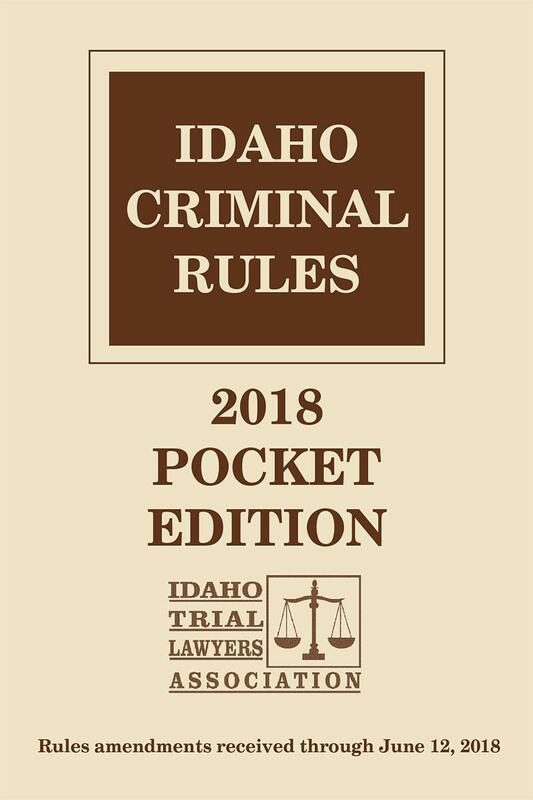 The newest edition of the Idaho Criminal Rules Pocket Edition contains the Idaho Criminal Rules, Misdemeanor Criminal Rules, Infraction Rules, Juvenile Rules, and the Rules of Evidence and is published in cooperation with the Idaho Trial Lawyers Association. 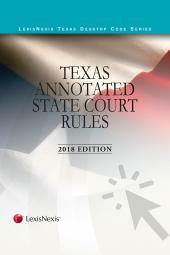 Take this convenient guide with you to court or anywhere else you need to quickly reference the Rules. The softbound format and small size mean it can easily fit into a pocket of your coat, briefcase, backpack, in a desk drawer, or just about anywhere else you need to keep it. Don't be without this convenient Rules compilation from Michie and LexisNexis, official publishers of the Idaho Code.